The audience were treated to several Russian, Hindi, English and Italian songs. Stylyagi Band performs famous Hindi numbers at the RCSC’s Old New Year concert. 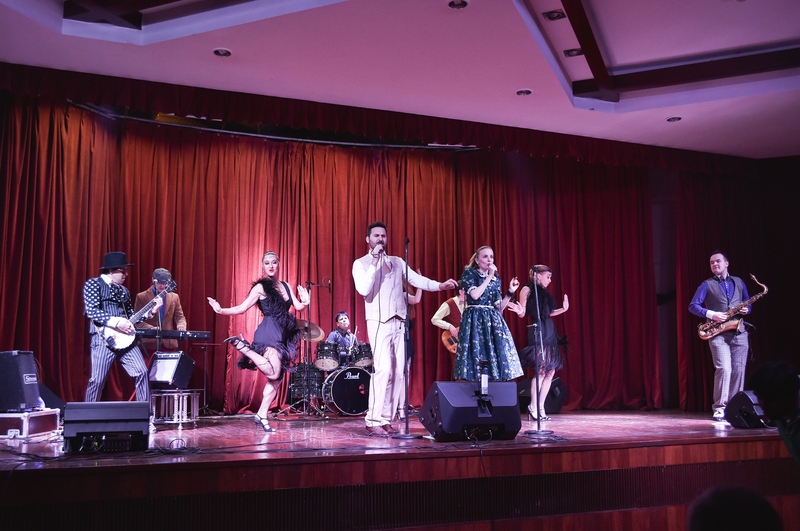 The Russian Centre of Science and Culture (RCSC) in Delhi celebrated the Old Russian New Year and Orthodox Christmas with a jazz music concert performed by the Stylyagi Band on Jan. 11. The concert, which was held in the RCSC’s main auditorium, was the first event of a year-long programme to mark the 70th anniversary of the establishment of diplomatic relations between Russia and India. It was organised by the Federal Agency for the Commonwealth of Independent States, Compatriots Living Abroad, and International Humanitarian Cooperation (Rossotrudnichestvo) with the support of the RCSC. The audience, which comprised of prominent cultural and political figures, diplomats, academicians, students and Russian expats, were treated to several Russian, Hindi, English and Italian songs. Along with Russian folk songs, numbers from films such as ‘Disco Dancer’ received a rousing applause.